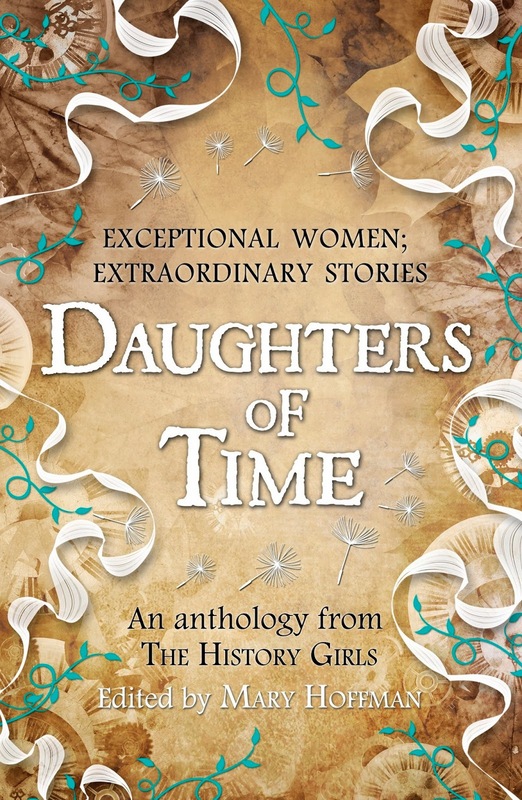 Explain for me and why the daughters of time anthology came about and why you decided to be involved with it. Daughters of Time was the brainchild of Mary Hoffman, who has edited the anthology. We were all History Girls, writers of historical novels for adults and children who regularly contribute to the History Girls Blog. The History Girls was Mary Hoffman’s brainchild, too. We began blogging in 2011 and Mary thought it would be nice if we made an anthology of stories about women in British history, kind of Our Island Story, but about women instead of men. She found an interested publisher in Templar, and that is how it all began. Why did you decide to focus your short story on Emily Wilding Davison? Emily Wilding Davison’s dramatic end has always fascinated me. Did she mean to, or didn’t she? I was talking to my daughter about a suitable subject when the Daughters of Time anthology was first mooted and Emily’s name came up. My daughter mentioned the famous return ticket and I suddenly saw a story there. Emily Wilding Davison has always been an interesting character in our recent history because her intentions on derby day were so unclear. For example she had a return ticket in her pocket. Do you believe she intended to become the suffrage movement's martyr? I believe that she did. I think the return ticket is misleading. She was a highly intelligent woman and familiar with horses. No-one who has seen horses at full gallop can think that they would survive running among them in a race like that. Some would say that the actions of the suffragettes such as Emily actually hindered women's chance at the vote and it wasn't until women contributed to the war effort between 1914 - 18 that they began to change the minds of the government. Do you agree? No-one brings about radical reform by keeping quiet, sitting at home, doing nothing. Political change of this kind is only achieved through action, whether it is the Civil Rights Movement in America, the Anti Apartheid Movement in South Africa, the Arab Spring or Votes for Women. By taking to the streets, the suffragettes brought their demand for equal voting rights for women to the forefront of the public mind and kept it there. It is undeniable that it took a World War to prove to the male politicians that women were worthy of that right, but if the suffragettes had not acted, such recognition might have taken even longer. Also, by breaking rules and boundaries, radically re-defining what women could and could not do, the suffragettes made women’s massive contribution to the war effort possible by allowing them to take on men’s work, work that was by definition less than ladylike. As a history teacher I love historical fiction but shy away from using it because of the variety of issues surrounding it not least that fact the author can put their own interpretation on events and can be known to take liberties with events to suit the story they are trying to tell which can confuse those studying the topic. What role do you think historical fiction should play in the classroom? All historians put their own interpretation on historical events; we just have to consider the diametrically opposed views of Max Hastings and Niall Ferguson on the First World War. There are as many interpretations as there are historians, or schools of historical thought: Marxist, Economic, Social, Cultural, Feminist, Right Wing, Left Wing, and so on. There are solid, known facts, certainly, but these are added to constantly as new discoveries are made about the past and these, in turn, affect how we interpret events, so interpretations can change from generation to generation. My understanding is that the teaching of history (and I speak as an ex History teacher and as a History and Politics graduate) as an academic subject is a matter of weighing these different interpretations, measuring them against the known evidence and for students to then form their own opinion. I can’t see why, in that case, historical fiction could not be regarded in the same light. On the contrary, I think it could add to and enrich the study of history. No reputable writer of historical fiction would knowingly distort historical facts to suit their story. We fit our stories into history, not the other way round. Even if they did, would it not be an interesting task for students to find and expose false information and anachronism? Historical fiction can make a period come alive for the student of history. It is also a shorthand way of getting to know periods outside the sometimes rather narrow confines of the curriculum. I have always read historical fiction and feel that it has added to and augmented my knowledge of history. I can’t think of a better addition to the study of the Tudor period than Hilary Mantel’s Wolf Hall and Bringing Up the Bodies. I wish her novels had been around when I was doing A Level. As it was, I owe a great debt to Jean Plaidy and Nora Lofts. Which other female figures in history would you have liked to include in the anthology had you had the chance to include more than one story? There are so many! I retain a strong interest in the English Civil War period and the women involved in it like Elizabeth Lilburne, wife of the Leveller leader, John Lilburne and Lucy Hutchinson. Women from very different social backgrounds but who chose to fight along side their husbands and campaigned to save them when they were imprisoned for their beliefs. I’m also interested in women artists in both the First and Second World Wars (in referring back to the question above, any student of the First World War should read Pat Barker’s novels) and female war correspondents, like Claire Holliingworth, the first journalist to report on the outbreak of the Second World War. Hi Kirsty, Honour to apear on your blog, even if we don't completely agree about the value of historical Fiction to the teaching of History.